At Hollywood Car Glass, we have been delivering car tinting services for more than 20 years to both residents and visitors to our city. Our knowledgeable technicians have consistently brought the absolute best auto tint services to our customers that is allowed by state law. If you are looking to enjoy one of the many advantages that a premium job on your vehicle brings, then you should definitely give our friendly customer service staff a call today. We know that many auto owners are anxious at first when calling a service provider since many people have simply never had the time to get an auto tint service for their automobile. That is just fine, as we will always treat you with the utmost dignity and respect when it comes to talking on the phone and setting up the perfect tinting service for your automobile and your life. Once we agree on what service to perform on your vehicle, our team then works with you on making arrangements for the perfect time and place for our team of mobile tinting experts to meet up with you to get the job done to include an accurate estimate of how long it will take us to do the work. Once we call a job complete, our leading technician will always conduct a thorough review of the work site to ensure you are completely satisfied not just with your new window tint, but also with the quality of job that we have done for you and overall cleanliness of the vehicle. 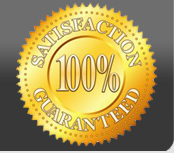 All of our work is backed by a 100% warranty, and our team loves to answer any questions that you might have before you hire us as well as during the job. We use the latest techniques, procedures, and materials to do the work on your automobile’s glass, and you will not be disappointed. Give our staff a call today with any questions that you might have. You should also take advantage of our free mobile service and our 100% warranty that is good for the lifetime of your car ownership.